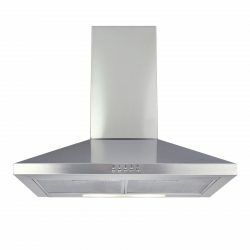 We are proud to offer these stylish and efficient appliances, and are confident you will find one in our range that suits your budget, style and cooking needs.All of these 60cm cooker hoods offer reliable, powerful performance at an affordable price. 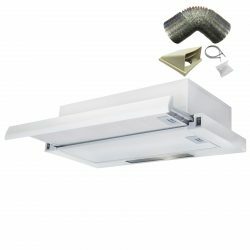 What more could you want from an extractor fan? 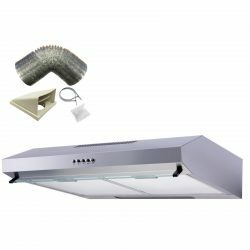 Our SIA range has been developed to give our customers quality appliances at more affordable prices. These compact models are a good choice if space is limited in your kitchen. 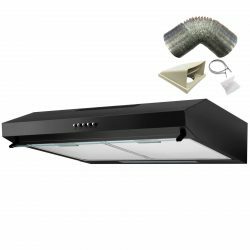 They are available in a range of finishes, including black, white and stainless steel, meaning that you should be able to find the one that fits in perfectly with your existing cabinets and appliances. 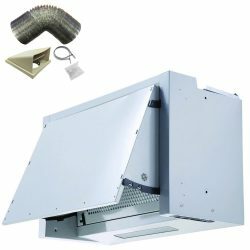 Choose from telescopic, integrated, chimney, visor or canopy models that vent to the outside of your property or use recirculation filters. 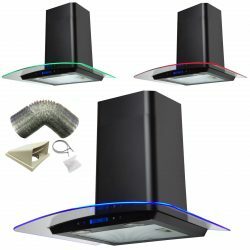 Whichever design you choose, you can be confident that it will keep your kitchen odour, grease and steam free. 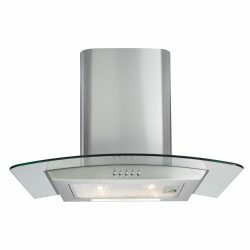 We offer a five year guarantee on these appliances, as well as free, fast delivery to 99% of UK addresses. 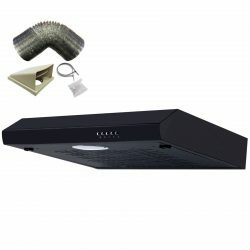 We offer special discounts if you buy more than one appliance at the same time. 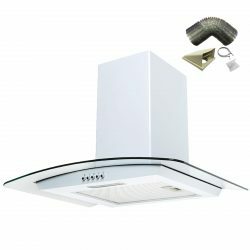 Before you purchase a new extractor fan or a cooker hood, be sure to measure the space above your oven or hob, and double check the dimensions of the model that you are thinking of buying. Should you need any advice, please do not hesitate to contact us. Our sales team would be happy to offer advice about the range we stock, and help you select the perfect product. Shop around our website to ensure you're getting the best deal. 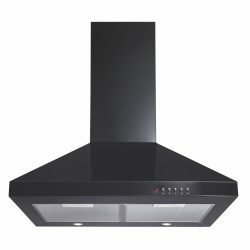 We've also got some fantastic lines of hobs, ovens and more to match your new cooker hood. We also have bundle deals available too, they're not to be missed!